Summer is the perfect time to show off your personal style and no one helps you do that more than American Equus! With new twists on the styles that you love including the Shooting Star Edition of the Elite Stirrups, Hunter EQ Stirrups in Copper and the launch of our Quik-X Spurs for our Western riders! American Equus is the premier manufacturer of American made stirrups and spurs. The Arizona based company, prides themselves on innovative design, an unmatched passion for detail, and performance driven results. Founded with a passion for engineering, American Equus products are lightweight, technically advanced, and offer riders performance and security for the best ride, every time. 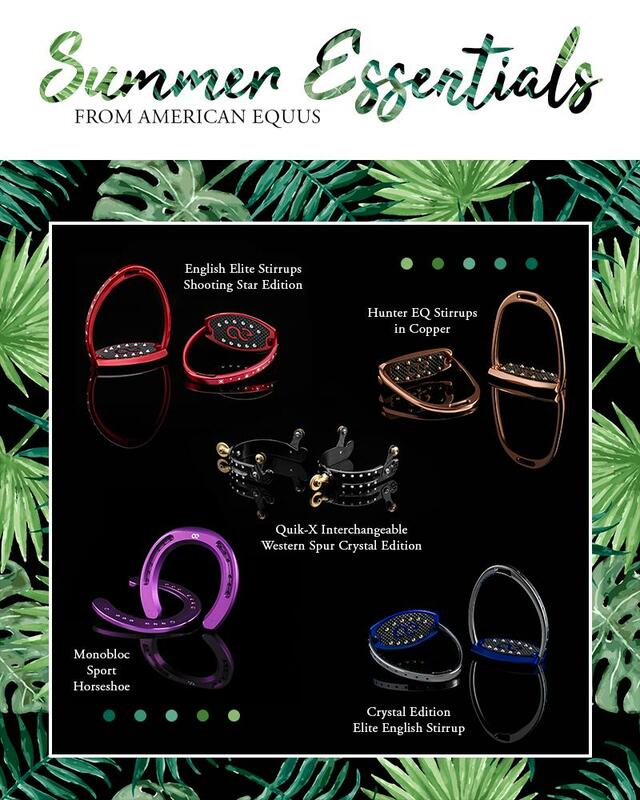 To learn more about American Equus, or order some of our “Summer Essentials”, click here.